Anyone who’s poked around on MiniWaters.fish, or who’s a wholesale customer of ours, knows that I’m eager to work with small scale, artisinal breeders anytime the opportunity presents itself and the economics make sense. I’ll admit, a fair amount of the time, I’ve bought large quantities of fish from a private hobbyist and sometimes it’s been a big failure because while I like the fish, folks don’t buy ’em. Or there’s a quality problem that arises later on. But generally, I wind up wanting more fish than these breeders can produce! First, for Japan Blues – try Aquabid.com. That’s where I initially got my broodstock eons ago. Aquabid is pretty much the online venue for most hobbyist and amateur breeder sales and exchanges. Of course, get involved with your local fish club and attend meetings and auctions. You’ll get deals, find new species, and network locally. Auctions are a great place to pick up fish on the cheap…of course realize that if you’re selling there, your fish might go for a $1/bag too LOL! Obviously, start small and grow slowly. Fish wholesaling and retailing for me is very much NOT my primary source of income, in fact I lost my shirt on that side of my business last year when I really ran the numbers…sales were down 60%, mainly due to the designer clownfish market crashing and FedEx’s never-ending rate hikes; it’s made overnight shipping extremely unaffordable. I raised my minimum purchase on the retail side to $99 because I was tired of people putting through $75 orders, then getting $110 shipping quotes, and just canceling. I would cancel too when the shipping costs me more than the fish do. It’s a big problem right now for the small independent business like mine. I run my business with a very “support the LFS, support the private small scale breeder” mindset. I have no qualms telling you to figure out who is going to buy your fish, and what are they willing to pay for them, before you ever decide what you’re going to produce. Sure, breed what you like, but if you intend for this to provide any sort of steady stream of cash, even if it’s just a break even at best, you still need to produce what people want. I loved breeding domestic angelfish; I had to get out of it in 2014 due to some major winter storm damage to our home, resulting in our insurance company (who knew about the business and insured it) effectively trying to shut me down anyway. In the next 2 years, I set up two aspiring commercial breeders with my broodstock AND a hard commitment to buy their production. As I see it, both companies failed to adhere to explicit, proven methods I shared on how to produce the fish, and ultimately both efforts failed. Of course, not only did they wind up throwing away their money, but I failed to have the source for fish that I truly desperately needed, so that in turn hampered my own business quite a bit. The margins in the aquarium livestock industry are something I’m transparent about. They vary regionally and greatly with specific items, but as a general rule of thumb on the typical mainstay fishes, retailers are marking up their fish X 3. So a $9 fish at retail is a $3 fish wholesale. That may seem like a lot until you factor in all the overhead and the perishable nature of the product..it’s not a filter that just sits on the shelf for 6 months and can be totally OK still…it requires daily care, daily investment, and can die at any time. What people don’t think about is farm price…and they hate it when I tell them what I’m willing to pay. Because if you want to move any sort of quantity, you’re either going to have to hustle like mad to do it, or you’re going to need to sell to a wholesaler. In short, I have to LAND the fish for 50% of what it wholesales for. So if it’s a $3 fish on my wholesale list, it has to show up here with a $1.50 cost. The reason the margin on a farm-gate price to a wholesale customer is lower is that fish are being moved in bulk, generally to repeat customers. They’re not buying 1 angelfish, 3 tetras and a shoal of Cory Cats; they’re buying a dozen, 2 dozen, of several types of fish, all in one order, filling a box which is much more economical from a shipping cost standpoint. Yes, that does mean that *some* fish on my retail site could hypothetically be priced 6X higher than what I paid for them, and with some breeders, I have agreements where I kick back on retail purchases to bring their compensation up to wholesale if their fish sell at retail instead of wholesale (and some breeders locally get even MORE than standard wholesale on a retail sale, and even more generous percentage still on a wholesale purchase). I try to be fair to the producers I work with, but I think what I do is unheard of in the industry, and I don’t have that agreement with every supplier obviously. But do I feel bad about sometimes making a 6X margin on a fish? Not at all, because it pays for the fish that arrive and die, and because dealing with retail customers is terribly time-consuming, and they’re the ones that cancel orders, do chargebacks, and only order a handful of fish. Think about all the time I’ve put in just responding to you personally, with virtually no prospect of a sale that will compensate me for this response! Honestly, I make far more doing my freelance profession than I make on a $100 fish order at retail, even if I’m making 6X what I paid for the fish! 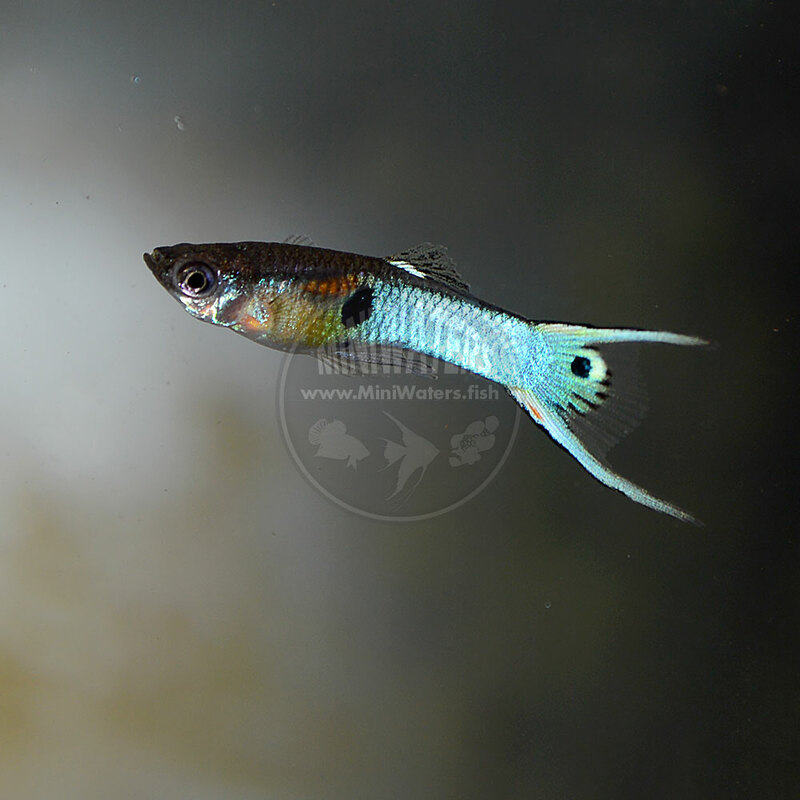 Of course, the reality is that I set up retail mainly to sell the fish that we were breeding but shops weren’t buying despite strong retail interest (and years of the “we’re wholesale only, have your LFS contact us” failing to yeild any results), and I keep my online prices where I think their shop/LFS prices should be so that they can point to me and say “look, it’s no cheaper online”, or maybe even “Look, we’re cheaper in the shop and you don’t have shipping costs either!”. Because again, I do all of this primarily to support the LFS believe it or not. Does it work? Honestly, not sure yet. Ultimately it’s up to you what you want to produce, and how you want to distribute it. Retail is labor and time intensive, even online, and you’ll find yourself often having to discount heavily (that $15 angelfish in the LFS is generally not a $15 angelfish online). Wholesaling to shops can be tough to get your foot in the door; also remember that if they’re paying you in “store credit”, they’re paying you far less than if they’re giving you cash, so be careful about whether you want to accept that or not, or offer different prices based on cash vs. store credit. Farming out to a wholesaler will move quantity, but getting an in with a wholesaler can be even more challenging. The pricing can be brutal, which is why I don’t mind if my private breeding partners are divesting fish to shops or at retail separately from me, using MiniWaters more as the pressure release valve for overproduction. The downside though I that means less than steady inventories, which of course my shops don’t like! So, there are some things to think about as an aspiring breeder. Don’t extend credit to any customer…payment up front, always. Definitely, don’t go hog wild, definitely don’t plan on even turning a profit, but know that it’s a rewarding hobby and if you’re level-headed with realistic expectations, I don’t think it’s unrealistic to maybe have a fish hobby that’s self-sustaining. Me? I’m always interested in chatting with breeders who have fish they want to sell in quantity. It doesn’t always work out of course, and generally, it boils down to money and logistics, not intentions! This entry was posted in Insights, Questions & Answers, Tips & Tricks. Bookmark the permalink.